The title 'half term' might seem a bit confusing as, I reckon, most home educated children don't really have a term time. But due to my little lad going to school we have weeks in the year when he is off that make our days a little different. Because he is home we like to go on more trips, explore more places and enjoy having him home with us. 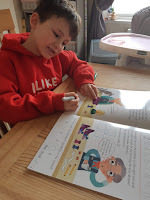 He says that he is at 'Violets school' when he has a school holiday and likes to sit down and do some math's and English with us. 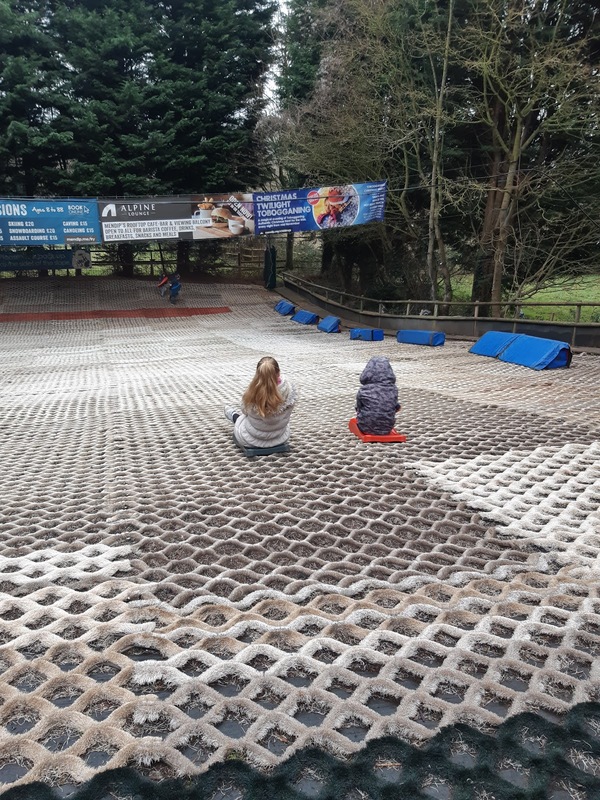 We continued with Violets online work but just reduced the amount spent on it as her time spent playing with Dawson and trips to the park are just as important as the sit down learning. This week we went to some beautiful places and because we are lucky enough to live in Somerset there are lots of places to explore without spending a fortune. We went to our local museum in Weston super mare. They were having a history week and everyday was a different time in history. 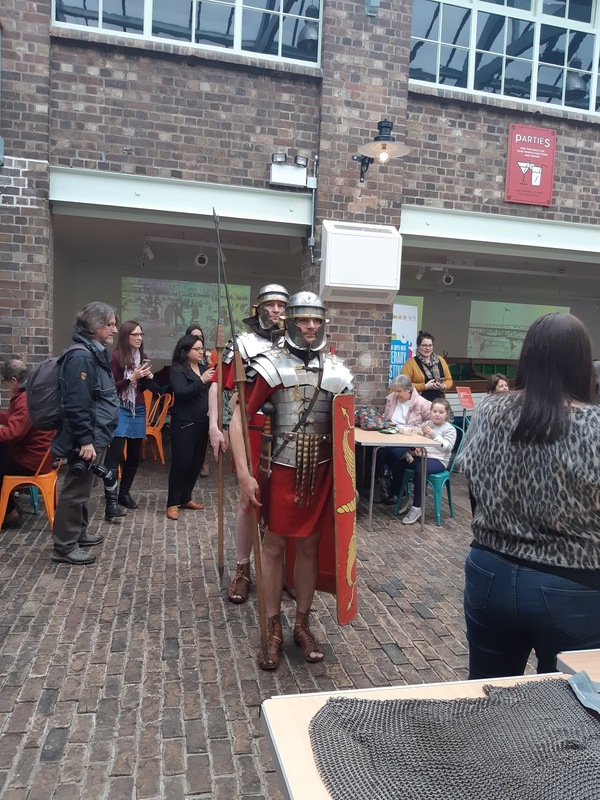 When we visited on Tuesday, it was Roman day. 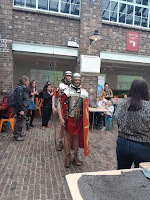 The kids got to see artifacts and dress up like a roman. The museum itself is lovely and we plan to go back to see all the things we missed on this visit. This place is free to visit but do accept kind donations to help keep the place running. 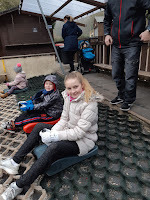 We took the kids tobogganing at our local ski centre in Churchill. Both kids were a bit dubious about the activity. Violet didn't really know what it was and Dawson, after looking at the pictures online, just kept saying 'scary' to me. But OMG the kids both loved it, the faster the better. 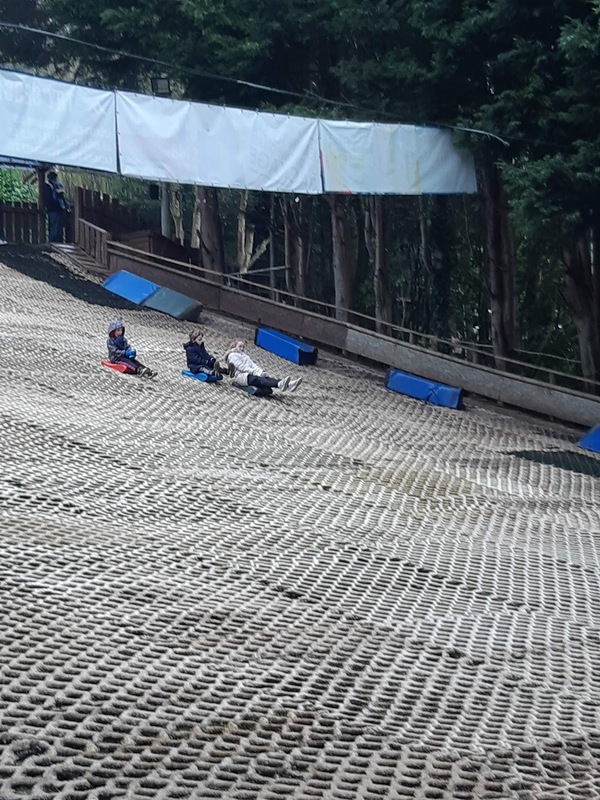 We had just as much fun watching them as they had flying down the slope. 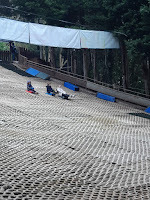 Its an activity we will definitely recommend to anyone and will be doing again. On Thursday Violet and her Dad (Mark) went to Hinkley point for a tour of the power station. This is a nuclear power station and they offer free tours and information sessions to explain nuclear power. Violet (and Mark) learnt the chemistry about nuclear fission and enjoyed seeing around this massive building. Both of them came back buzzing and would like to join the next tour to have a look around another part of the site. The weather, here, was like a summers day by the weekend and we all wanted to get out to explore and enjoy the unusually warm February weather. So we packed our wellies ( a must when exploring with kids so they can jump in streams and puddles), food, water and ventured to Clevedon. 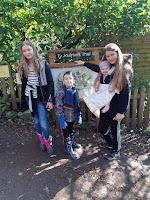 We went to the Ty Sculpture trail for the first time. 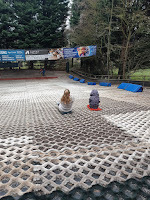 This place was recommended to us by another local Home ed mum. It is a beautiful trail put together in the woods by a father who unfortunately lost his son at the age of 21. His son, Ty, used to spend his childhood exploring these woods which his house backs onto and this trail is in memory. In the forest is a 'bubbling' pond, this pond produces bubbles for an unknown reason which the kids found very interesting. The trail is free to visit. 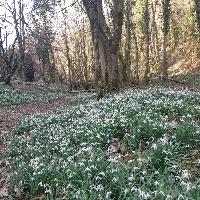 We also went on our annual trip to snowdrop valley to see the thousands of snowdrops that grow there each year. It is a muddy walk but the kids loved the exploring and playing in the stream. We had friends and family join us so we had a total of 9 children out on the trip and they were all fantastic. 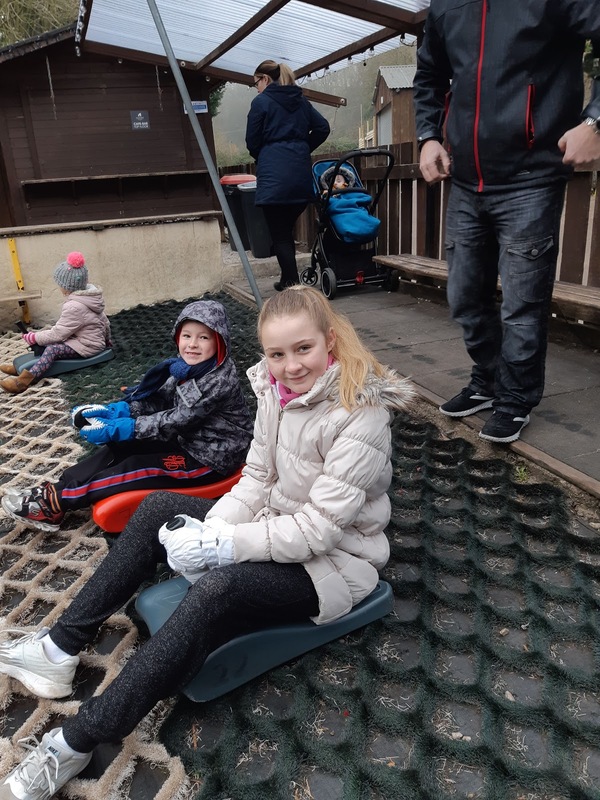 All in all we have had so much fun, lots of fresh air, lots of learning, exploring, making fantastic memories and none of it has broken the bank. We always say that we 'home educate' and not 'home school' for the reason that what we do is nothing like a school. We are not replicating a school, we are not 9am-3pm Monday to Friday. We are educating in a way that suits our child, every hour, every day and every week of the year.